I love maps. I love charts. I love rankings. I love comparing the quantitative differences between major cities. I don’t know why I love this stuff; I just do. So bear with me while I geek out on this a little. Minnesotans (at least, I think it goes beyond me individually) sometimes have an inferiority complex, especially those of us who live in the Minneapolis-St. Paul metro area. We are a major city, the 16th largest metro area in the country. We have a diverse and strong economy, with a prominent national and international role in medical technology, arts and design, retail and manufacturing. We have an excellent arts community, and the highest number of theaters per capita of any American city besides New York. We have excellent parks and recreational opportunities. And, as I’ll get to in a minute, we have teams in all four major league sports (NFL, MLB, NBA, and NHL). In short, this is a great American metro area, and the gem of the upper Midwest. 1. There are the “old” major cities and the “new” major cities. Strong representation among the major sports leagues — especially the older NFL and MLB — is more common among older, more established cities, even though they may be on the decline in recent decades, like St. Louis, Pittsburgh, Cleveland and Kansas City. On the other hand, cities that have grown substantially in recent decades (even though they may be very old cities) typically either have no major league teams, or if they do, their teams tend to be in the newer (or more recently-expanded) NBA, NHL and MLS: cities like Las Vegas, San Antonio, Austin and Orlando. 2. Certain sports are more established in different regions. All of the sports seem to have their greatest representation in the oldest and most densely populated region of the country: the Northeast. But that area is especially well-represented in the NFL, whereas the NFL’s representation in the South is more sparse and newer — expansion teams like Jacksonville and Carolina — which may be due to college football’s comparatively strong popularity in the South. The rapid expansion of the NHL and NBA over the past 20 years has also led to more teams in markets in the South and West that have not typically been home to major sports franchises. It’s a big reason why all of the sports teams in Minnesota use “Minnesota” in their names instead of “Minneapolis.” Until the Wild arrived in St. Paul, it would have been accurate to discuss the Minneapolis Twins, Minneapolis Vikings and Minneapolis Timberwolves, but what would that do to St. Paul’s reputation and self-image? It’s bad enough as it is. Addendum: After writing this post, I discovered a handy and closely-related chart on Wikipedia listing US and Canadian cities by number of professional sports teams. Of note: the only city in the United States that is not in this list of the top 50 but is home to a major sports team is, of course, Green Bay. Nine Canadian cities have at least one team in these “American” sports leagues (mostly NHL). There are a few variances in the population rankings comprising this list vs. those I used for my list. Some may be simply out-of-date, but others may be based on different interpretations of what constitutes a metro area. Most notable in this regard is that San Jose is typically considered part of the San Francisco Bay Area rather than a distinct metro area. 1 Los Angeles did, of course, have two NFL teams for many years, until the Raiders returned to Oakland and the Rams fled to St. Louis, of all places, after the 1994 season. 2 Detroit fascinates me for many reasons, not least of which being its ability to hang on to both its four major sports teams and its 11th place ranking (though it’s slipped from its one-time peak at number 3) among major U.S. metro areas. 3 San Francisco’s position at number 13, along with its lack of NHL and MLS teams, may appear somewhat arbitrary; I’ve typically seen San Jose lumped into the same Combined Statistical Area, bumping it up to sixth place and, along the way, giving it San Jose’s NHL and MLS teams. 4 The Inland Empire lacks any major sports teams, true. It also lacks any kind of cohesive center or place of relevance (beyond jokes about funny-sounding place names like Rancho Cucamonga) in the minds of anyone besides its residents. Having lived there myself (in Claremont and Upland) for a little over two years in the late ’90s, I take that personally. It is most especially ignored by those who live in the Greater Los Angeles Area west of the San Jose Hills. 5 I still can’t believe the Supersonics ended up in Oklahoma City. That’s crazier than the Rams going to St. Louis. 6 Denver’s the smallest city with full representation in the five major league sports. But given that Denver is the outpost of metropolitanism for several states — I can attest from first-hand experience that there are people in northeastern Montana whose “local” TV channels are the Denver affiliates — its radius of influence significantly exceeds its immediate physical region. 7 While it’s true that the rapid growth of the Las Vegas metro area over the past 20 years may explain its lack of major sports franchises, the reluctance of the leagues to become (ah-hem, openly) involved in the world of sports gambling is also a well-known factor. 9 I never realized Milwaukee was so far down on this list. I guess that’s what having a well-known Major League Baseball team for decades will do for a city. 10 And I’m really surprised New Orleans is this far down on the list, even after the population drop in the wake of Hurricane Katrina. What other crazy stuff has been happening in professional sports while I wasn’t looking? It’s true: I pay very little attention to professional sports of any kind. It’s not that I don’t like them, I’m just usually not that interested. 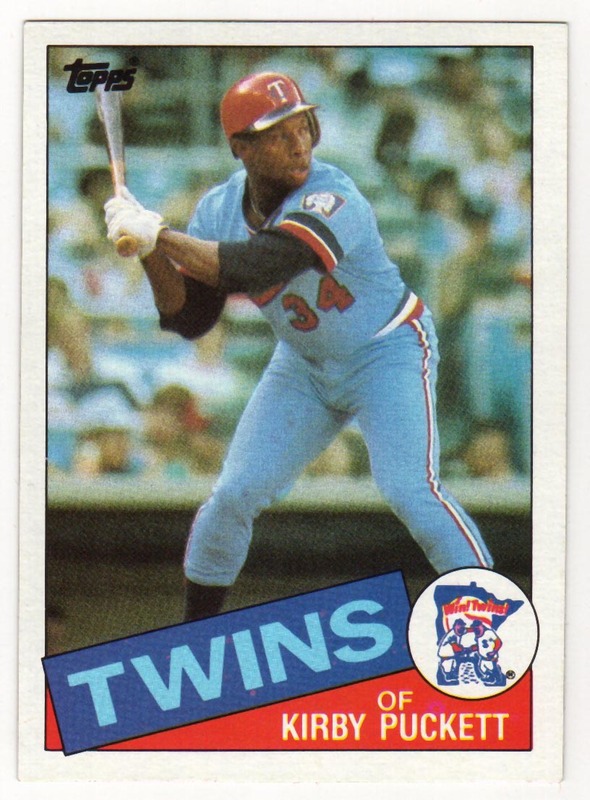 I used to be; I collected baseball cards in middle school, and my peak of interest in pro sports conveniently coincided with “my” Minnesota Twins winning the World Series for the first time ever, in 1987. Since then, it’s been all downhill. I was excited about the Vikings in 1998, only to be let down by Gary Anderson’s only missed field goal of the year, in the NFC Championship game. I watched the Twins’ tiebreaker game against the White Sox this year, only to be let down yet again by a team that has an incredible knack for falling ever-so-slightly short, again and again. Perhaps this “always the bridesmaid” trait common amongst the Minnesota pro teams is what makes it hard for me to be a sports fan. But more likely, I’m just not that interested, and that’s all there is to it. These days the only professional sports I actually get excited about watching are Wimbledon and the Olympics, and their relative infrequency probably contributes to my enthusiasm. Yet, I am still drawn in by unexpected developments, like the Steelers’ 11-10 win this week. I knew that was a weird score, and I thought it was cool when I learned that out of the over 12,000 NFL games played in the league’s history to date, this was the first ever to end with that score. But this fact still caught me totally off guard. I was reading kottke.org this morning and he just casually mentioned that the Seattle Supersonics had moved to Oklahoma City. To quote Dave McFly, “When the hell did this happen?” This year, apparently, and I had no clue. There was a time in my life (I happened to be 13) when I was a huge baseball fan. I had the giant baseball card collection to prove it. I even chewed the nasty gum a few times. My enthusiasm was richly rewarded in 1987 when my hometown Minnesota Twins won their first World Series. Life was good. But eventually I moved on. My brief, albeit intense, interest in baseball (and pro sports in general) faded in high school, and although I still enjoy going to a game once in a while, it’s just too expensive and too corporate, and I’m too cynical, to sustain that kind of passionate enthusiasm. So when it was announced that Johann Santana was traded to the Mets, I barely even raised an eyebrow. [W]hen you’re a kid, your town’s team manipulates your immature emotions in order to get you to tug on daddy’s sleeve and beg him to buy a pair of $50 tickets and a souvenir jersey so Dad can go to his grave knowing that his boy will remember him through misty eyes and support the next billion-dollar stadium proposal when the stadium opening in 2010 needs to be replaced a few years later. He’s right. And he goes on to show just how trivial a slice of the pie, given the ludicrous sums of money floating around in the world of professional sports, Santana’s salary really is. It’s the stars like Santana and Torii Hunter that make a team like the Twins worth going to see. Which is where the money comes from in the first place.